Is public transportation a right? Should it be? For those reliant on public transit, the answer is invariably “yes” to both. For those who lack other means of mobility, transit is a lifeline. It offers access to many of the entitlements we take as essential: food, employment, and democratic public life itself. 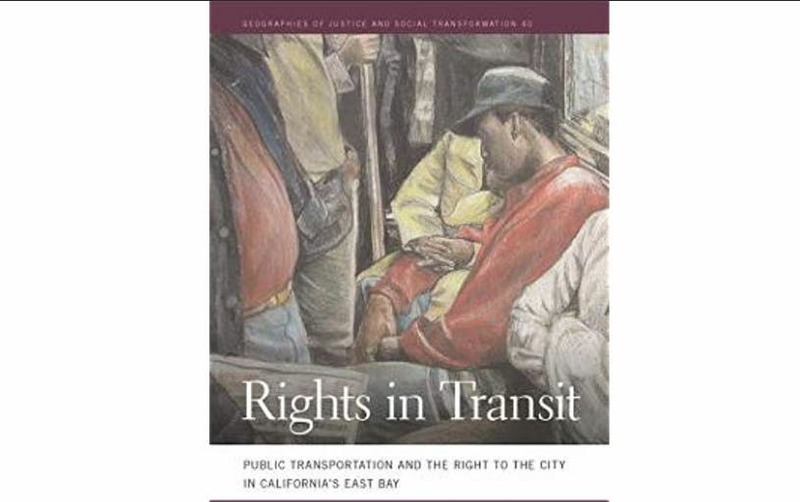 Rights in Transit offers a direct challenge to contemporary scholarship on transportation equity. Rather than focusing on civil rights alone, Rights in Transit argues for engaging the more radical notion of the right to the city. Join us as Professor Kafui Attoh of the CUNY School of Labor & Urban Studies and author of RIGHTS IN TRANSIT, discusses these topics with Eric Goldwyn of NYU’s Marron Institute. Professor Attoh will sign copies of his recently published book, and special guest artist Jimmy James Greene will display his artwork, featured in Attoh’s book.